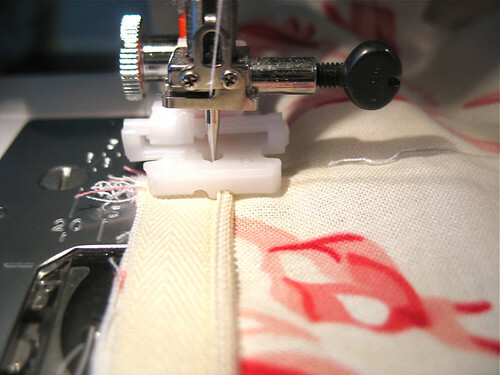 We have a winner..... - Stop staring and start sewing! Okay, out of the 276 comments I received (wow!) the random number picker (random.org) picked comment number 173 which belongs to Lina who said "I'd love this! :)" at 10:32 am on Dec 4th. Congratulations Lina! 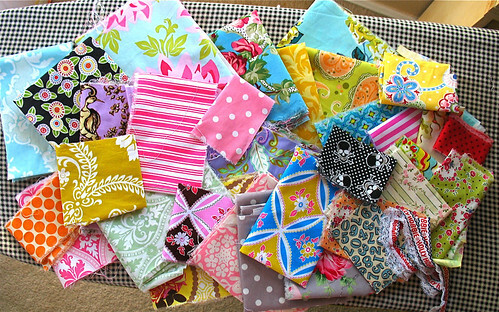 I'm sending you this fabulous pile of scraps (actually about 2.5 yards judging by the weight) and a cute Reading Pillow pattern by Sew Liberated. Fun stuff! I just finished Sofia's dress and it turned out great. Very lady-like but age appropriate (she's 12 next week). And I found some shoes for her for 4.00!! So I have one dress left to make (taffeta!) before tomorrow evening. I promise to share pictures when everything is done and everybody is shiny and pretty. 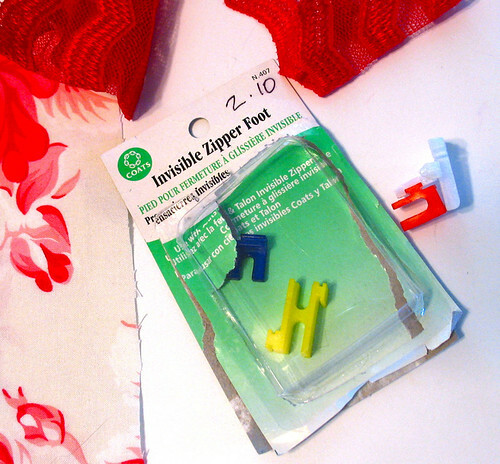 I found a really great and cheap plastic invisible zipper foot while out shopping yesterday and I'm in love with it! It was $2.10 (plus tax) and the cheapest I've seen the metal ones is around $20.00 on ebay. I found a great tutorial on this blog and it was really easy to use. Here's what it looks like (with a small peek of Sofia's fabric and trim). Here's what it looks like in action. Nice.